Col. Conrad Reynolds is not your average Congressional candidate. Having served in numerous combat zones around the world (Bosnia, Iraq, Afghanistan), Reynolds has seen his fair share of emergency situations. He did not expect, however, to encounter an overturned, smoking vehicle while riding to a gun show in central Arkansas. 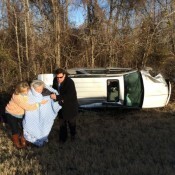 “I saw the car flipped over on the side of the road and I said to my friend, ‘Nobody’s stopping to check if anybody is inside.” They continued to the nearest exit and headed back to the scene. Smoke was coming from the engine, but sure enough, a woman was stuck inside. 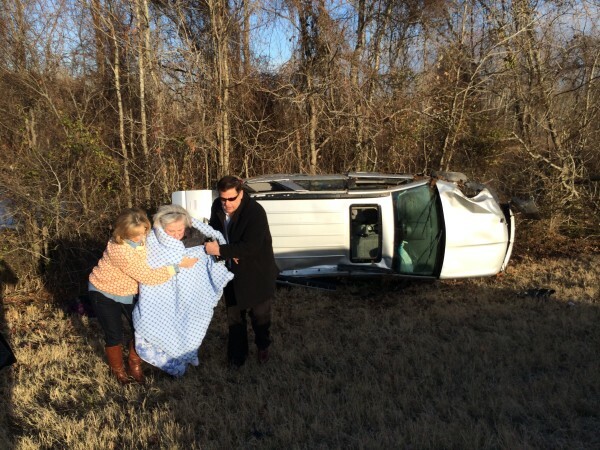 Read more at Joe For America: Congressional Candidate Saves Woman Trapped in Wrecked Car.